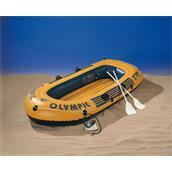 Complete Boat Set Olympic 270 with paddle and bellows. 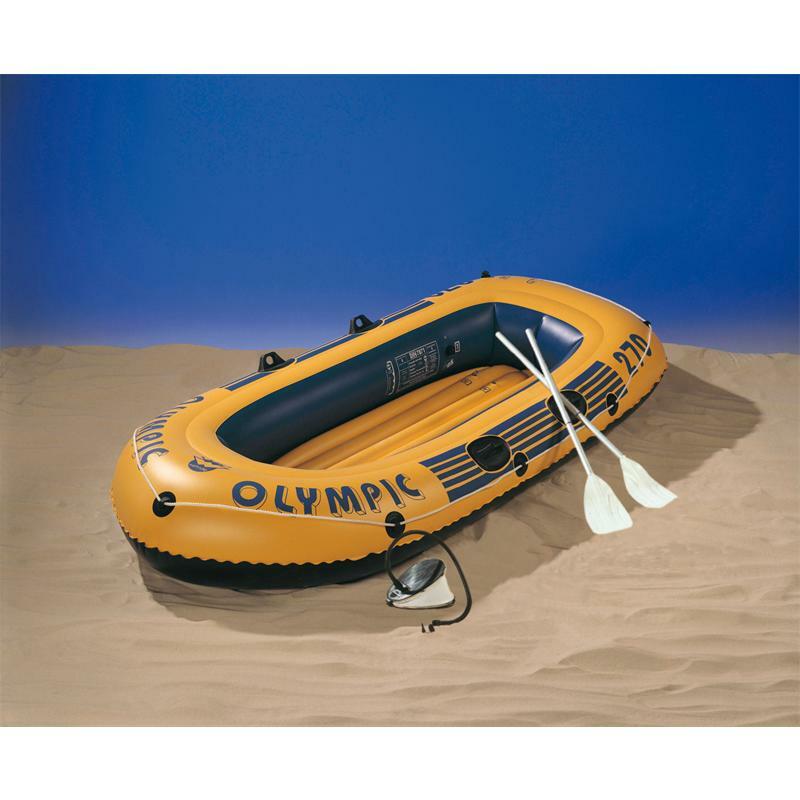 The boat is TÜV (German standard safety) tested and has a double chamber air system. Inflated: 264 x 122 cm. Deflated: 270 x 140 cm. The boat weighs approximately 5 kg and has 2 plug valves, 2 screw valves, 4 and 9 eyelets oarlocks. Included: Boat, aluminum paddle (115 cm) and Bellows (3000 cc). It is suitable for 2 adults and 1 child, payload 200 kg. Application: river and lake. Water Type: detached and calm waters. Wehncke boats are characterized by easy handling and simple maneuverability. All size boats are prepared for extreme stress and difficult situations and recommended thanks to the particularly robust design. Perfectly sealed seams, seawater-resistant and oil-resistant film Solaflex provide safe water fun.